Eliminate the biggest bottleneck and risk to a fast, accurate global financial close with an integrated intercompany accounting process. 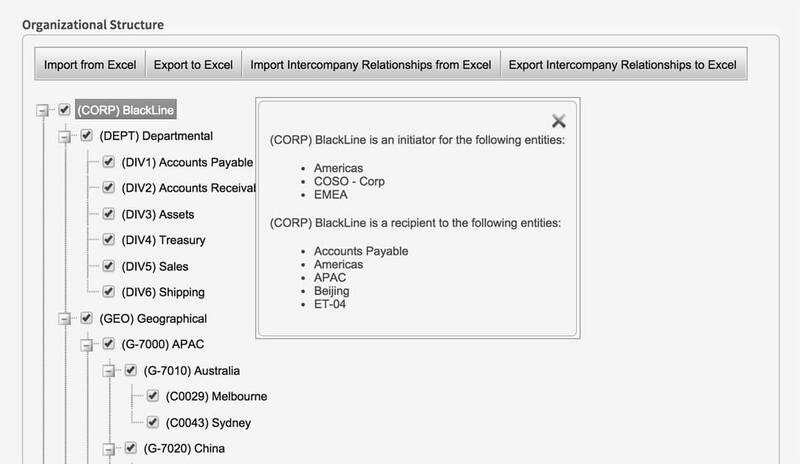 The BlackLine Intercompany Hub empowers organizational entities and business units to approve, review, and reconcile intercompany transactions and balances across currencies and geographies in real time. Centralize end-to-end intercompany accounting management and streamline process, reduce risk, and realize global visibility. 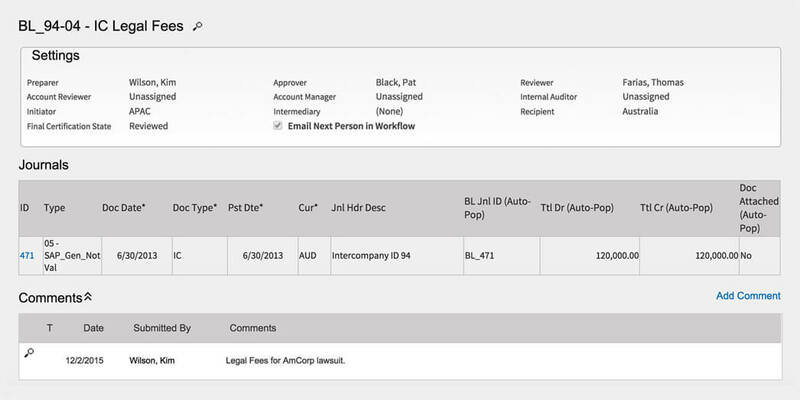 The BlackLine Intercompany Hub is a clearinghouse for intercompany transfer agreements and transactions that eliminates the need for after-the-fact manual intercompany reconciliations, netting, and settlement. The Intercompany Hub centrally interfaces with all of a company’s core ERPs and other systems, creating intercompany transactions and distributing data and automated journal entries from a centralized system. This provides the means for a single process for agreeing to, creating, posting, and settling intercompany transactions. With a single process, companies gain the highest degree of data integrity and regulatory compliance. All of the complexity inherent to intercompany accounting and intercompany reconciliations, including issues over currency exchange rates, transaction amounts, recorded taxes, journal entry creation, and approval workflows, are neatly and automatically managed within the Intercompany Hub. Bringing intercompany data from every entity’s systems into BlackLine’s cloud-based system yields a single, centralized view into all activity around intercompany accounting. From one interface, accounting teams can create, approve, review, and reconcile transactions across entities, accounting groups, currencies, and geographies. The Intercompany Hub provides real-time processing, eliminates differences, generates invoices, and automatically books journal entries to otherwise disconnected systems, removing the need for manual intercompany reconciliations. The Intercompany Hub manages the intricacies of currency values, transaction amounts, and tax implications with precise, customer defined templates than can be enabled on an entity-to-entity basis. Such templates include specific settings for approval workflows, VAT taxes, multiple currencies, and even intermediate entities for tax optimization. The controls are applied when automatically creating and booking journal entries across all entities’ disparate systems. Each company’s customizable intercompany transaction governance guidelines and controls ensure compliance and control through every step in this historically complex process. 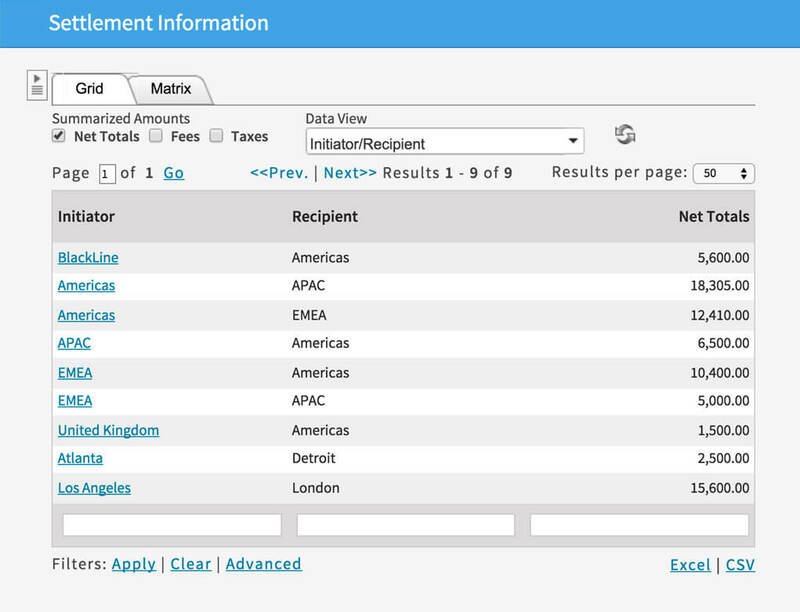 Accounting and finance managers gain real-time intelligence into the business by viewing settlement amounts – who owes whom within an organization – and drilling down into specific initiator-recipient relationships to view the associated transactions. This is possible because intercompany transactions are tracked across the entire process from inception and approval to journal creation and posting. Every step in the process is fully auditable within a centralized hub. This end-to-end coverage allows organizations to avoid discrepancies and exceptions, eliminating the need for manual intercompany reconciliations, while providing full visibility into global currency movements and exposure. Multinational and multiple-entity organizations often use different, disconnected ERP systems for a variety of reasons. ERP connectivity, from data integration to journal posting, is required to successfully centralize global intercompany accounting. Whether using a single ERP system across all entities or many disparate financial systems around the world, BlackLine software integrates with your existing systems to manage complex end-to-end intercompany accounting all in one place, a single source of truth for global organizations.